At a time when sequencing your genes is as simple as spitting in a cup, Jason Fletcher wants to understand how this new trove of data impacts society by helping to build a new field of study: social genomics. 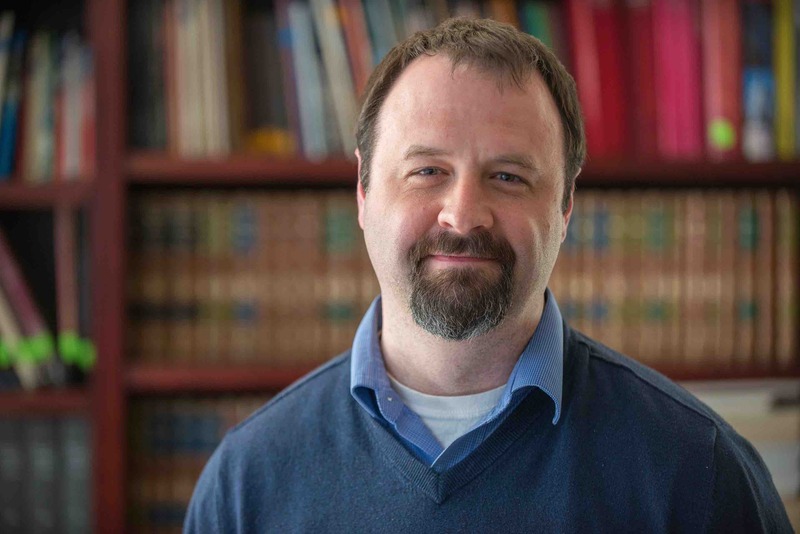 Fletcher, a professor in the La Follette School of Public Affairs and the Department of Sociology at the University of Wisconsin–Madison, is researching questions about how public policy intersects with genetic data, what our genes can predict about how society functions, and how we should use this data responsibly. Jason Fletcher, a professor in the La Follette School of Public Affairs and the Department of Sociology at UW–Madison, asks how to address social issues in the age of genomics by helping create a new field: social genomics. 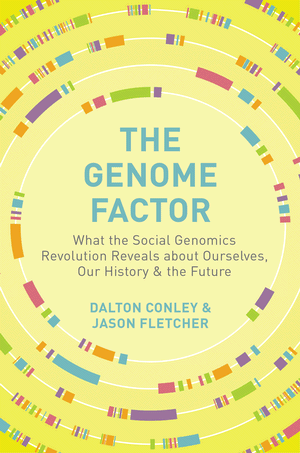 With Princeton sociologist Dalton Conley, Fletcher wrote a new book, “The Genome Factor: What the Social Genomics Revolution Tells Us About Ourselves, Our History, and the Future,” which explores this new field of social genomics. The book is the basis for a new course offered this fall, Molecular Me: Social Implications of the Genomic Revolution. The class is targeted at sociologists who want to delve into genetic data and biology students wanting to understand the social consequences of their work. The new discipline studies many of the same long-standing topics in sociology — educational attainment, earnings trajectories, income inequality, housing segregation — but with a genetic twist. Since the characteristics of individuals, and populations, depend both on genes and environmental context, the interdisciplinary field aims to uncover more complete explanations for how society is structured. And with better understanding can come more effective recommendations for public policies. Among other topics, Fletcher has researched how genes interact with public health policies and whether genetics explains who we spend time with. He found that increasing tobacco taxes doesn’t significantly reduce smoking rates for those most genetically prone to nicotine addiction. And when Fletcher asked whether your genes can predict who you will marry, he discovered that they do, but only slightly. Education level is a much better predictor of who pairs off. Fletcher’s new book, “The Genome Factor: What the Social Genomics Revolution Tells Us About Ourselves, Our History, and the Future,” is the basis for a UW–Madison course offered this fall. While writing his book, Fletcher sent his DNA to the personal genetics company 23andMe. These services give interesting results, he says, but offer more of an educated guess about your personal traits than bedrock prophecy about your fate. “They’ll tell you whether you like cilantro, which is a genetic trait, so they’re right with that — I hate cilantro,” says Fletcher. “But they’re wrong when they tell me that I shouldn’t be bald,” he says, gesturing to the back of his head. This burgeoning field is also wrestling with some past demons. Previous mergers of genetics and sociology have led to calls for eugenics, or attempts to scientifically justify social divisions, despite having no access to genetic information. Now that genes are actually being sequenced, Fletcher says vigilance against misuse of the data is more important than ever. “Acknowledging this past is very important — acknowledging it, and trying to keep it in mind so you don’t do precisely all the bad things that have happened every time that social scientists and geneticists have teamed up on problems,” he says. As for the future, Fletcher also considers the ethical implications of genomic information, especially in making decisions about the next generation. While genetic engineering of human embryos might not lead to the era of designer babies anytime soon, the increasing use of in vitro fertilization and genetic sequencing of embryos could allow parents to choose traits in their future children that wouldn’t have been possible just a few years ago. “What should we allow people to know? What are the rules going to be about selecting embryos based on these predictions?” Fletcher asks. Now that genes are actually being sequenced, Fletcher says vigilance against misuse of the data is more important than ever. As genetic engineering becomes easier, Fletcher thinks ethical concerns will revolve around whether society is OK with enhancing somebody’s potential rather than simply erasing genetic disorders, which is more acceptable. Fletcher’s social genomics course will address all of these questions — and some that he can’t even predict. While his book will be the main course material, headlines seem to change the conversation about society and genes every day.